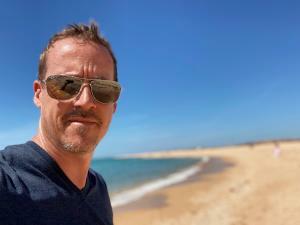 Dr. Scott M. Fitzpatrick is an archaeologist who specializes in the archaeology of island and coastal regions, particularly the Pacific and Caribbean. Much of his research focuses on colonization events, seafaring strategies, adaptations to smaller islands, exchange systems, chronometric techniques, and human impacts on ancient environments. He has active field projects in Palau (western Micronesia), several islands in the Caribbean, including Carriacou and Mustique in the Grenadines, the Florida Keys, and the Oregon Coast. Dr. Fitzpatrick is the founding Co-Editor of the Journal of Island and Coastal Archaeology (Routledge/Taylor & Francis), Associate Editor for Archaeology in Oceania, and serves on the editorial boards for three other journals, including the Journal of Archaeological Science: Reports and the Caribbean Journal of Science. Recent publications have appeared in the Proceedings of the National Academy of Sciences, Archaeology in Oceania, Environmental Archaeology, Geoarchaeology, Journal of Archaeological Science, Journal of Anthropological Archaeology, Journal of Biogeography, Radiocarbon, and World Archaeology. He also has edited several special issues of journals and volumes, including Voyages of Discovery: the Archaeology of Islands (Praeger, 2004), Island Shores, Distant Pasts: Archaeological and Biological Perspectives on the Pre-Columbian Settlement of the Caribbean (University Press of Florida, 2010), and Ancient Psychoactive Substances (University Press of Florida, 2018). His research has been supported by the National Science Foundation, National Geographic, the U.S. Department of the Interior, and the Sasakawa Peace Foundation (Japan), among others.